Would you like a noted Ph.D to check your résumé? We will read, edit, or critique your résumé. We can make suggestions that will help you not only with your résumé, but with your career. If you want to try this service, the charge is $125 via PayPal. The service is flexible, and payment is negotiable. In this undertaking, Dr. Love is accompanied by a receptionist with many years of experience in writing and reading résumés inside and outside of her profession. We can help you. 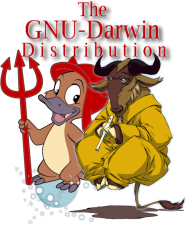 For GNU-Darwin developers and contributors above the $125 level or above, the service is free. In addition, for free and open source software programmers, we offer many software packages and tons of documentation concerning résumés and résumé building. Here is one example that is particularly hot right now. For more information, email Dr. Love, proclus@gnu-darwin.org, with GNU-DarwinResumes in the subject line. Please enjoy and spread the word about our Résumé related offerings.